One of my photos has been used for UBIUM‘s game event “Illusion 2014” in Finnland,. which was a side event of a big rock festival there, the Ilosaari Rock 2014. 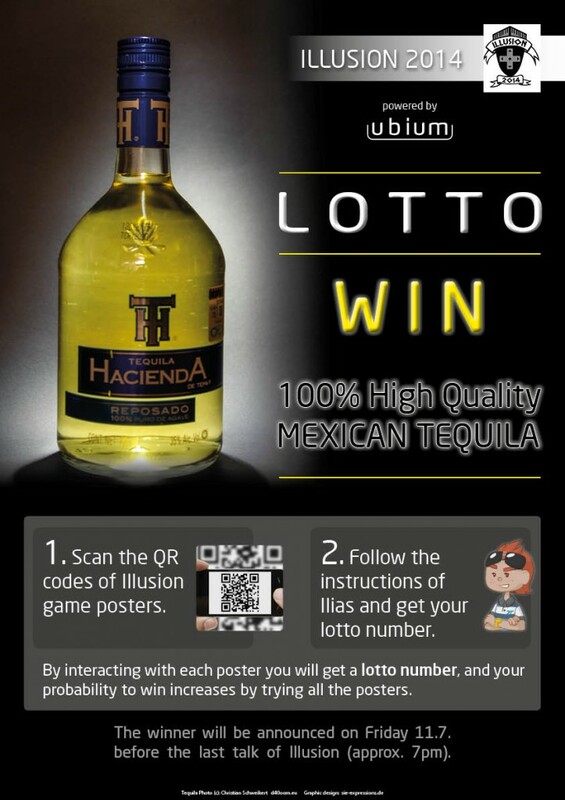 It was the photo of the Tequila bottle, which, by the way, was mine….and I gave it away as a price for the winner…:-(…but as I’ve heard, we was really happy about it. Graphic design by SIEexpessions.